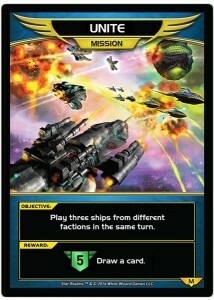 Objective: Play three ships from different factions in the same turn. Reward: Add 5 Authority. Draw a card.